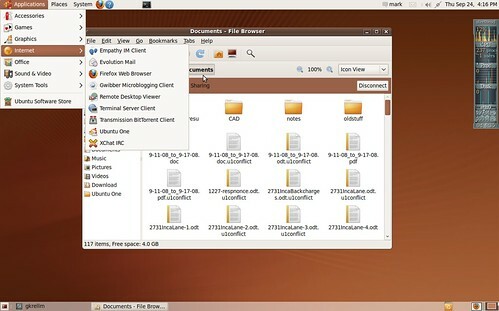 I've been testing Karmic Koala on my daily use desktop machine using Virtual Box. And I "upgraded" my ancient (6.75 years) Toshiba laptop when Karmic Koala was at the alpha 5 stage. I'm disappointed in some of the new artwork. The new icons are good looking but the default colors are just too brown to my eye. I took a screenshot of the virtual install a couple of days ago.